While the male voting percentage was 2.03% more than the 73.95% voting of 2013, the percentage of female vote when compared to the previous assembly elections showed an increase of around 4%. 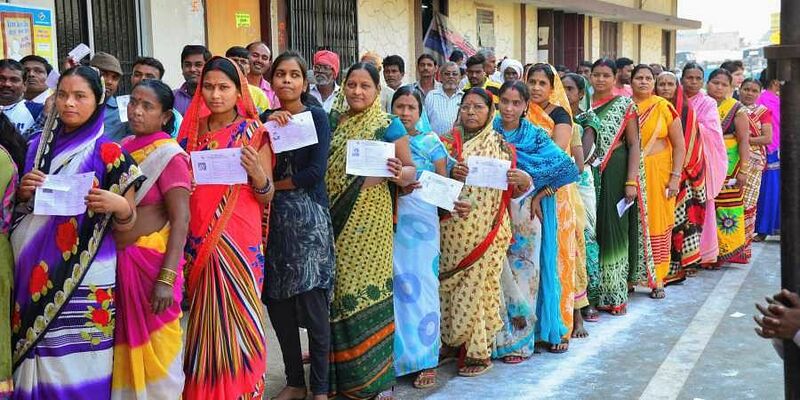 BHOPAL: The votes of women and first-time voters could decide which way the results of the November 28 Assembly polls in Madhya Pradesh swing on December 11, according to a study of the voting trends in the state. According to numbers released by the Election Commission on Friday, 75.05% of the electorate exercised its franchise during Wednesday’s election held for 230 assembly seats. While the total voting percentage was the highest in the Assembly polls since 1998, it was 2.92% higher than the 72.13% votes polled last time. A gender wise break-up of figures shows that 75.98% male voters and 74.03% female voters cast their votes at the 65,000-plus polling stations. While the male voting percentage was 2.03% more than the 73.95% voting of 2013, the percentage of female vote when compared to the previous assembly elections showed an increase of around 4%. “The around 3% jump in the total poll percentage of this assembly poll is largely due to increase in voting by first time voters (young voters) and the female voters. It could have a major say about which way the vote has went in Tuesday’s polls,” sources in both Congress and BJP said. Importantly, out of the 230 seats, the female voters outnumbered the male voters in around 50 seats spread in the Mahakoshal, Vindhyan, Bundelkhand and Malwa-Nimar regions. The important seats which higher female voting, included the Churhat seat of Sidhi district from where leader of opposition (LoP) Ajay Singh is eyeing a fifth straight win, all seats of Satna and Rewa district, Jabalpur North and Jabalpur Cant seats, a large part of MPCC chief Kamal Nath’s seat Chhindwara and almost all the seats of the maoist-affected Balaghat district. Another important trend is that the percentage of polling in rural areas was more than the urban seats. All the top five constituencies where maximum voting was reported are predominantly rural seats, where the poll percentage varied between 86% and 91%, while among the five top seats where voting was least were urban seats. Figures show that in 166 seats out of the 230 seats (72% seats) the voting percentage was over 70%. While the Congress claims that increase in poll percentage is indicative of vote for change, the ruling BJP circles said that whenever the voting percentage has grown (it grew in 2003, 2008 and 2013 polls), the BJP has been the beneficiary.